It has been said that it is hard to know where the town ends and the school begins. One of the largest boarding schools in the country, Oundle School is also the town’s largest employer. There was a time when almost everyone in town seemed to be connected to someone who had business with or who worked at the school. While that is no longer the case, the school retains a central position within town, and of key importance is the person at the school’s helm, the headmaster. 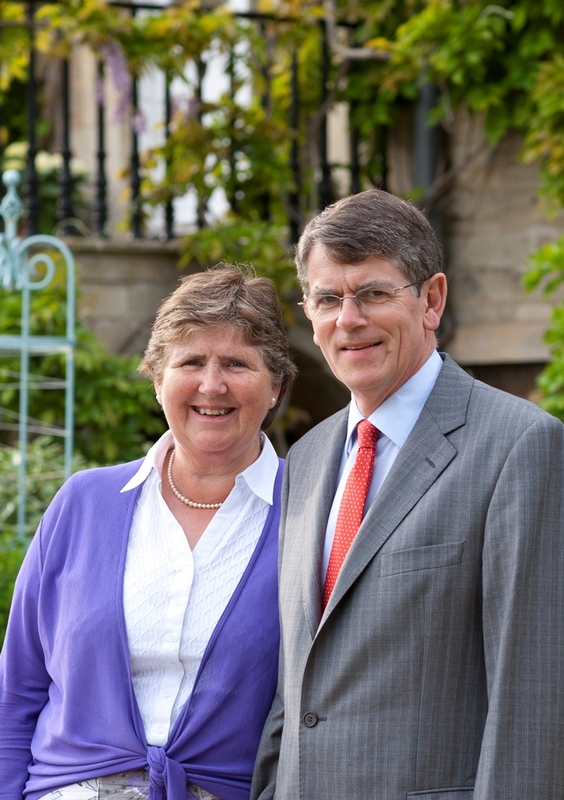 After ten years leading Oundle School, Charles Bush will be stepping down as the school’s 33rd headmaster. His retirement comes after 40 years teaching in five different schools, including Abingdon School and Marlborough College, where he was a teacher of mathematics, head of department and housemaster. His ambition to pursue a career in education was consolidated during his gap year before university, which he spent at The Dragon School, Oxford. It was at The Dragon that he met his wife, Mary, who was working as a matron. Even after his year there, Mr Bush remained ‘a proud supporter’ of The Dragon, later sending his three children there. He did not set out to be a headmaster but comments, ‘I guess I was ambitious’. After twelve years as Headmaster at Eastbourne College, he joined Oundle School in 2005. In addition to attending plays, concerts, sport events and official dinners, he spends his evenings visiting all the houses, and is always seen greeting pupils as they come into the Chapel. ‘Every child is important and every child is equally important,’ he believes. He hopes that he will be remembered for nurturing ‘a happy and successful community’. Certainly, throughout his time at Oundle the school has gone from strength to strength. His headship has overseen not only the final stages of the first SciTec development but also the renovation of the Cripps Library, the refurbishment of the English department and the relocation and refurbishment of the modern foreign languages department. Construction of the second and final part of SciTec, which will encompass the engineering and mathematics departments, is currently underway. He also leaves plans for development of the school’s sports facilities, the beginning of which is heralded by the recent completion of the new cricket pavilion. Perhaps of more significance though is the strength of the relationship between the school and the town. Looking back, he feels that there was ‘greater disconnection’ between the two communities when he arrived. There has been great progress over the years, with much effort made to maintain good communication and cooperation with all the many groups in Oundle. A keen sportsman, he takes great pleasure in being the President of the town Cricket Club, while Mary is President of the Horticultural Society. He describes the town as ‘the most wonderful place to live. People are friendly, people look you in the eye as you walk past, they say good morning, they’re cheery, the shops are generally prosperous and they’re very welcoming’. As for what the future will bring, he seemed quite excited to be able to say, ‘I haven’t got plans’. Although under no pressure to retire as headmaster, Mr Bush said that he ‘just felt 40 years was the right time to go’. In addition, he looks forward to the next chapter of ‘a bit of sunshine and a bit of London’, with ‘plenty of bad golf’ as well.